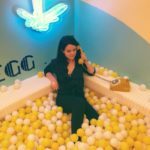 Western New York – and Buffalo, in particular – has earned quite a reputation for its wild winter weather, but that doesn’t mean that we just stay bundled up by the fire all season long. 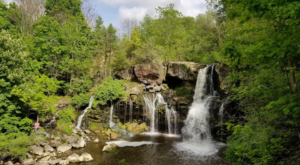 In between snow storms, we love to get out and experience the Queen City’s best attractions – many of which only come around during this time of the year! 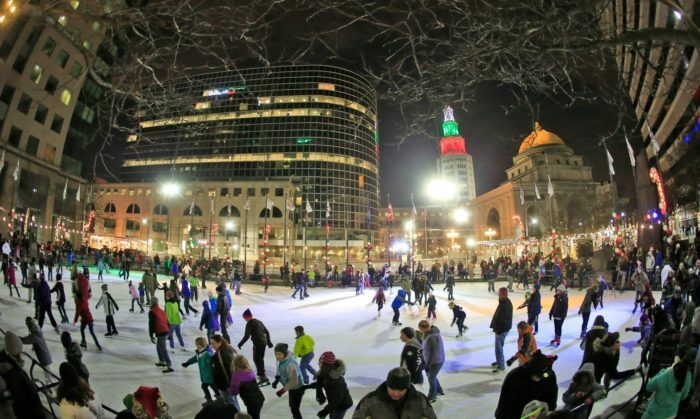 Ready to see why there’s no better place to be than Buffalo in the wintertime? Keep reading to see why we love this season so much. 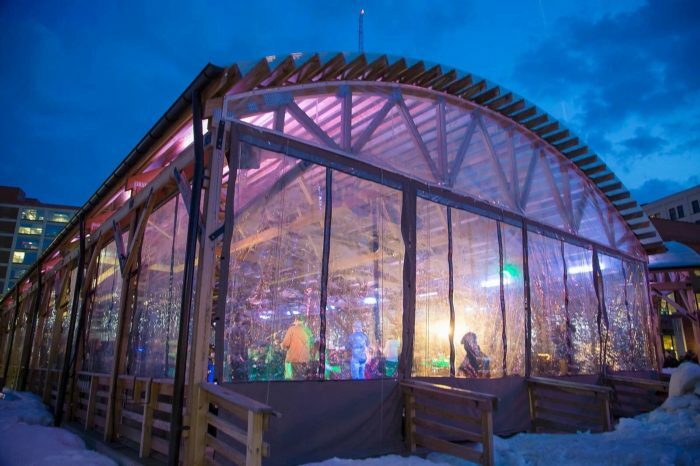 Head on over to one of our favorite neighborhoods to enjoy the annual Larkinville Ice Festival that takes place in Buffalo each winter. This will be the 5th year of festivities, and will bring the area to life with horse-drawn carriage rides, local vendors lined up all along the heated boardwalk, sledding, and tons of other fun winter activities packed all into one day. The Larkinville Ice Festival will take place on January 26th from 11:30 a.m. to 4 p.m., and it’s a great way to spend a winter day in the Queen City. 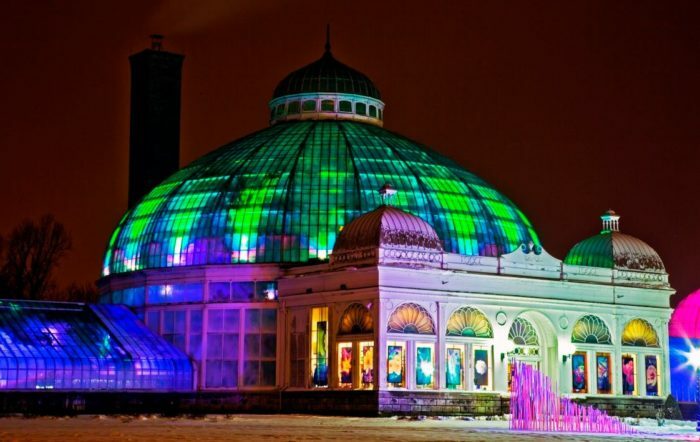 Easily one of our favorite wintertime attractions, Lumagination at Buffalo and Erie County Botanical Gardens is as close to real-life magic as it gets. Dazzling lights transform the already amazing gardens into a spectacular wonderland, and you can check out the electrifying display on Fridays & Saturdays from January 26th through February 23rd. This is one event you definitely don’t want to miss! 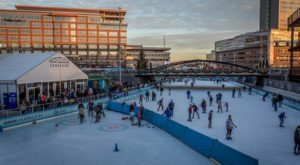 All of Canalside turns into an amazing winter attraction when the snowy season hits, but there’s one activity that is so uniquely Buffalo. Have you taken a spin on the quirky ice bikes? You can rent them for just $12 for a half-hour ride, and it’s perfect for those who haven’t quite mastered ice skating, but don’t want to miss out on all the fun on the rink! 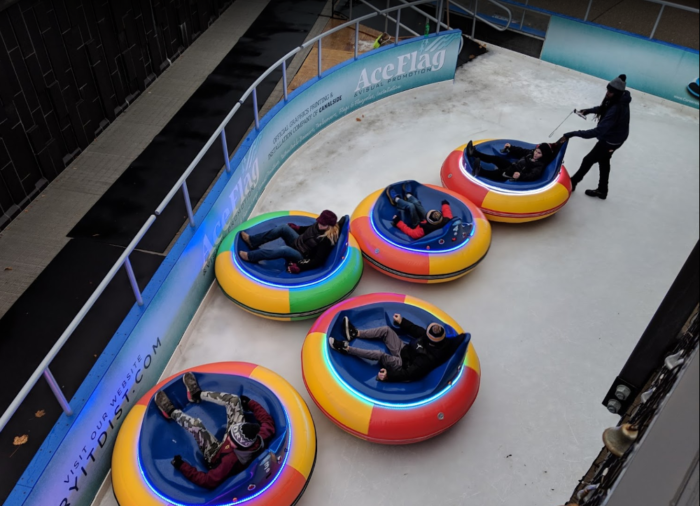 If you love the ice bikes, you’re going to be over-the-moon about the newest winter attraction at Canalside: ice bumper cars! This year, you’ll find eight ice bumper cars in an area sectioned off from the main rink, not too far from Shark Girl. 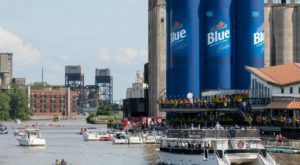 This new activity has already been a hit with Buffalonians, so if you’re interested in hopping behind the wheel for yourself, get out there sooner rather than later, as we expect the lines for rides to just get longer as the season progresses! 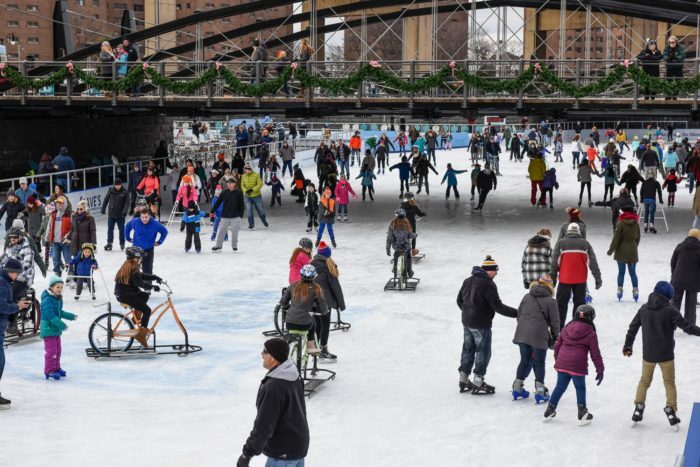 We weren’t kidding when we said that Canalside is the place to be during the wintertime - there are just so many awesome activities to take part in! 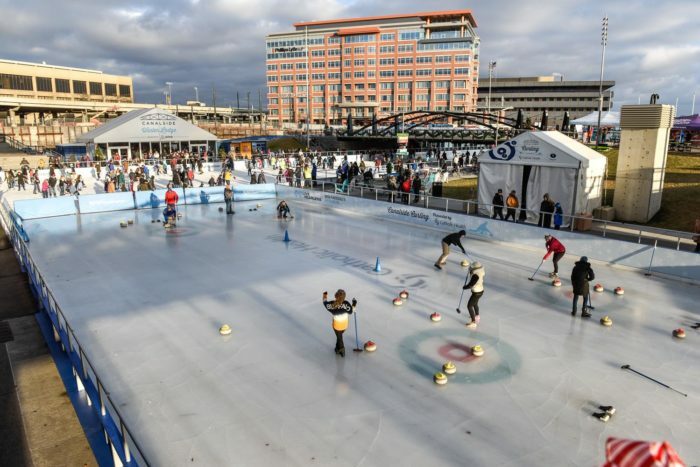 Try your hand at the art of curling for just $15 per person for an hour out on the ice. 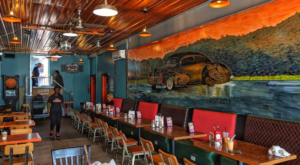 You’ll need to gather up at least four people to play (with a maximum of 10), but it’s not hard to find fellow Buffalonians who can’t wait to join in on the fun. 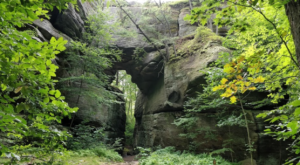 Located just minutes outside of Buffalo, Chestnut Ridge Park is one of the best places that you can visit in the winter. 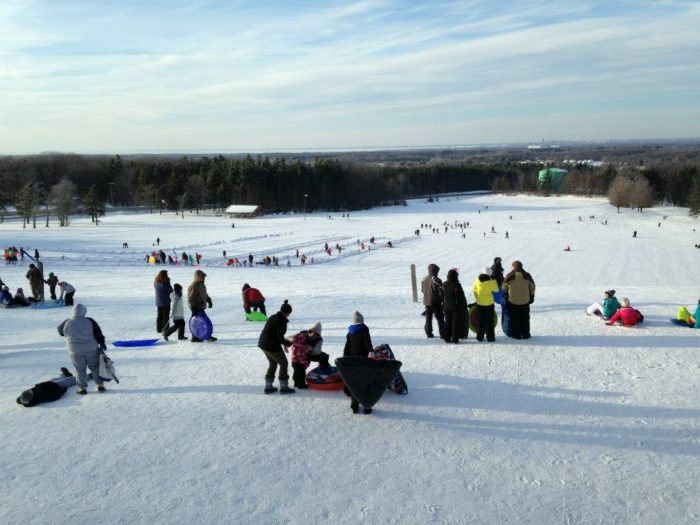 With sweeping views of the city skyline, wonderful wintertime hiking trails, family-friendly sledding slopes, and the historic toboggan chutes, there’s no end to the fun at this lovely park! 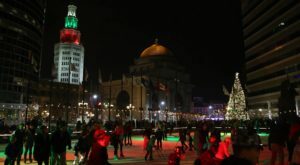 We're lucky to have quite a few options when it comes to ice skating here in Buffalo, but one of our favorite places is Rotary Rink. Skating at Rotary Rink is completely free and will leave your wallet right in your pocket, exactly where you want it after all that holiday shopping! If you don't bring your own skates, it only costs a few bucks to rent a pair. 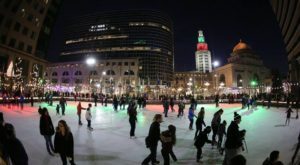 Plus, who doesn't love going skating right in the heart of the city?! While other zoos around Western New York close down once the colder season comes around, The Buffalo Zoo is one of the few that you'll still be able to enjoy all year long. 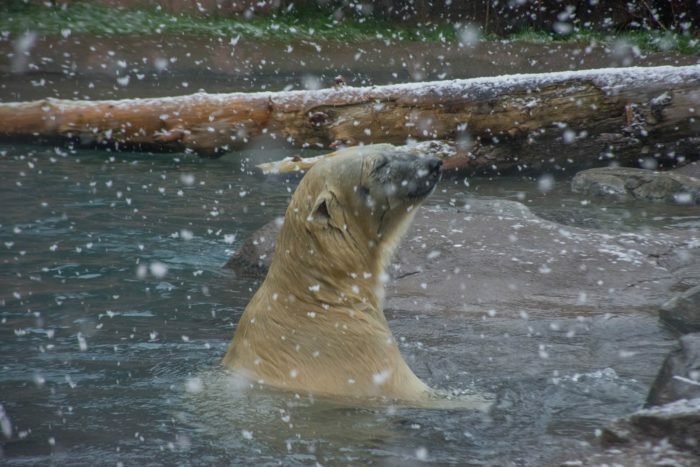 One of the best parts about visiting this zoo during the winter is getting to see for yourself how much fun the animals have while playing in the snow! It's something you'll never forget seeing and will pull at your heartstrings. 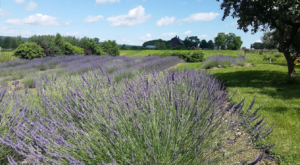 Looking for other ways to enjoy this season? Then make sure you read about how The Mountain Coaster Ride Near Buffalo That Will Make Your Winter Unforgettable!